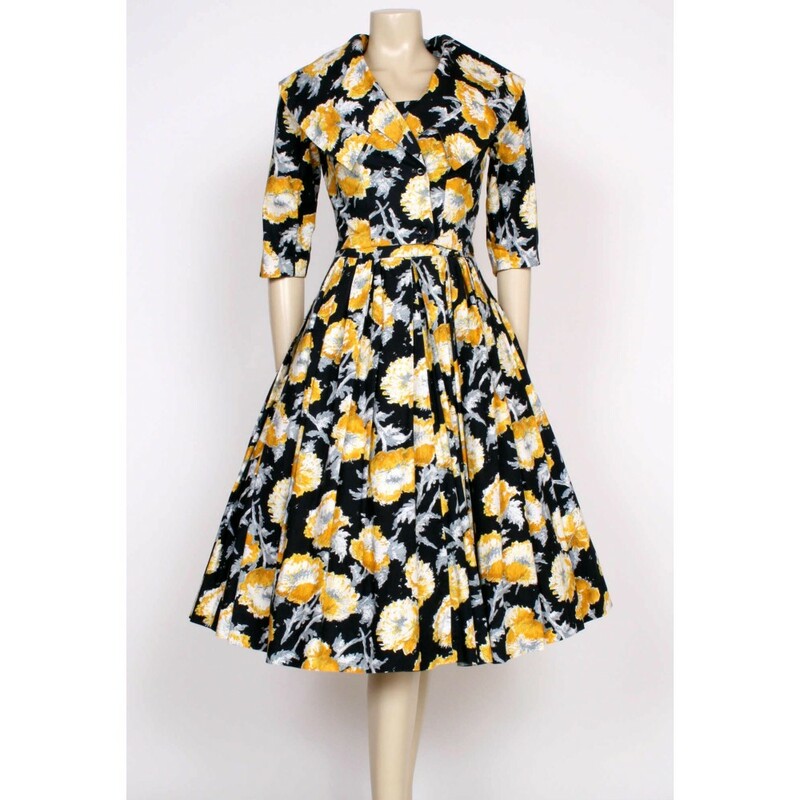 This is a premier example of a 1950's dress with jacket, oh my goodness, it is amazing! 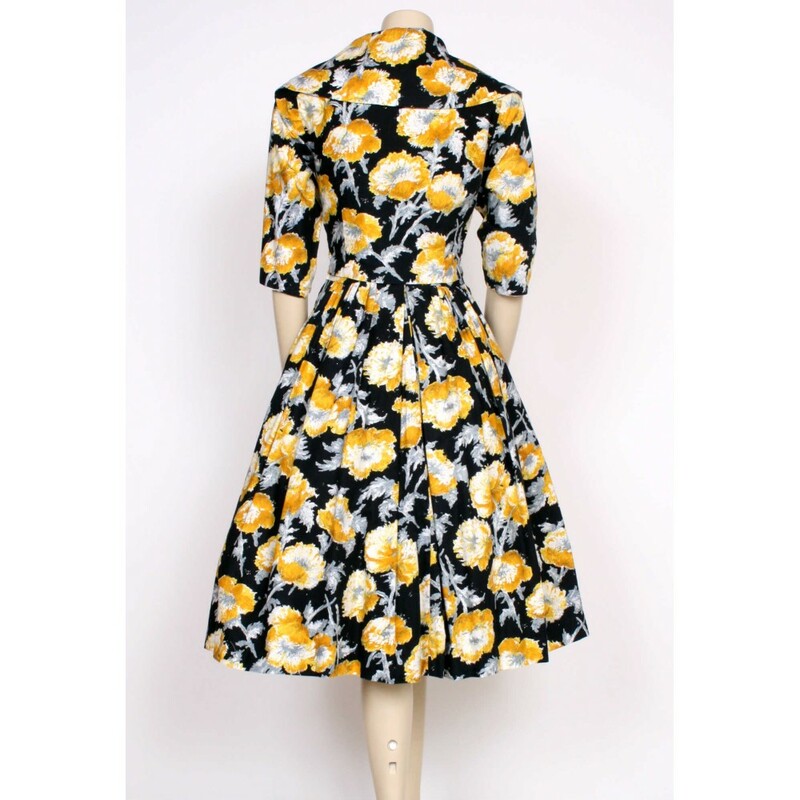 This would be wonderful at a wedding, special event and don't forget you can wear the two items seperately to mix it up, the jacket would look lovely with a black dress or with trousers, and equally the dress would look stunning with a black modern jacket too! 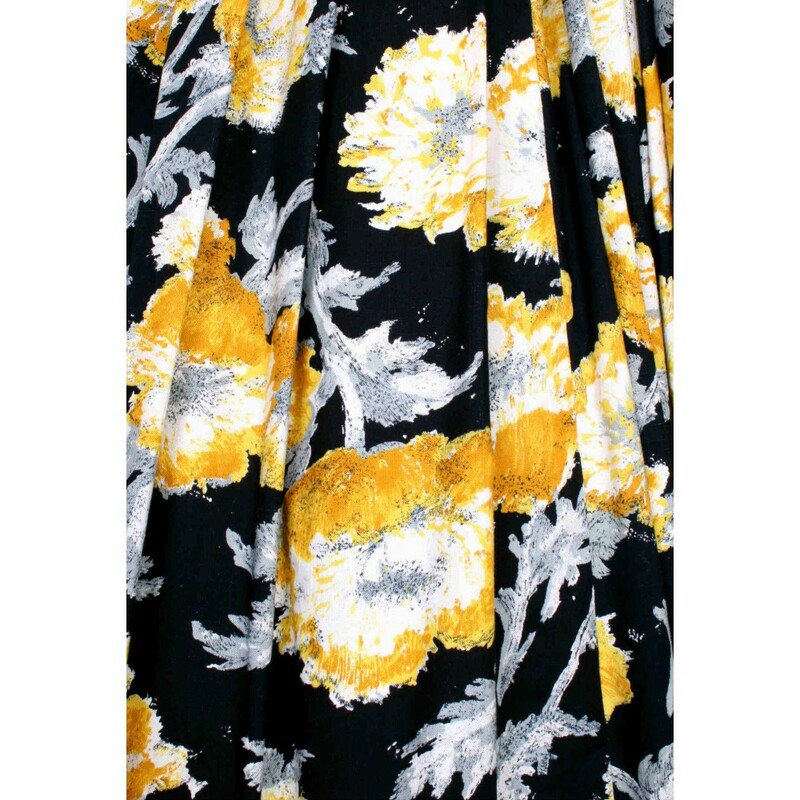 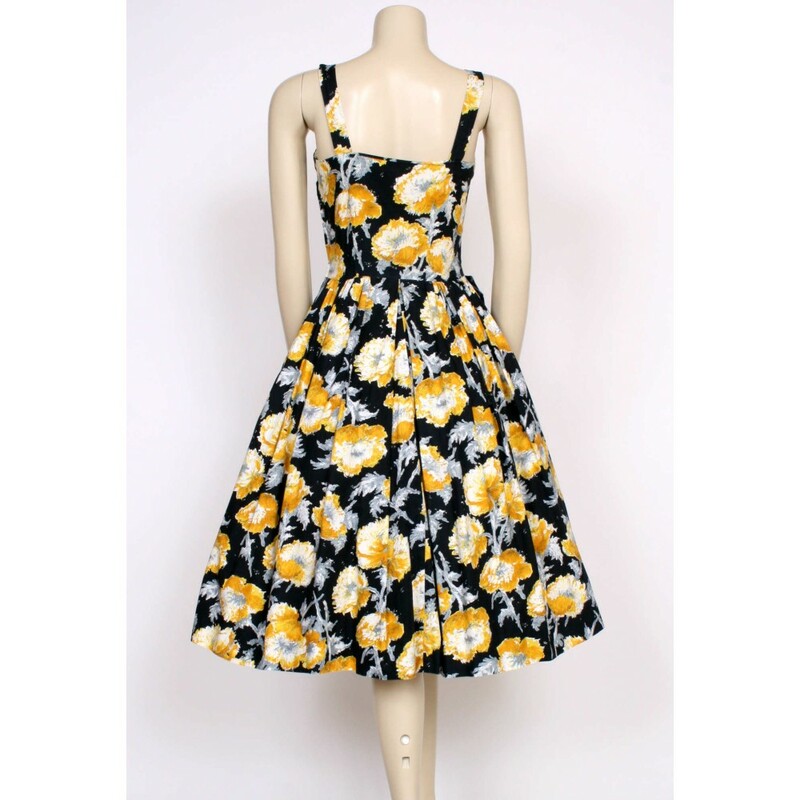 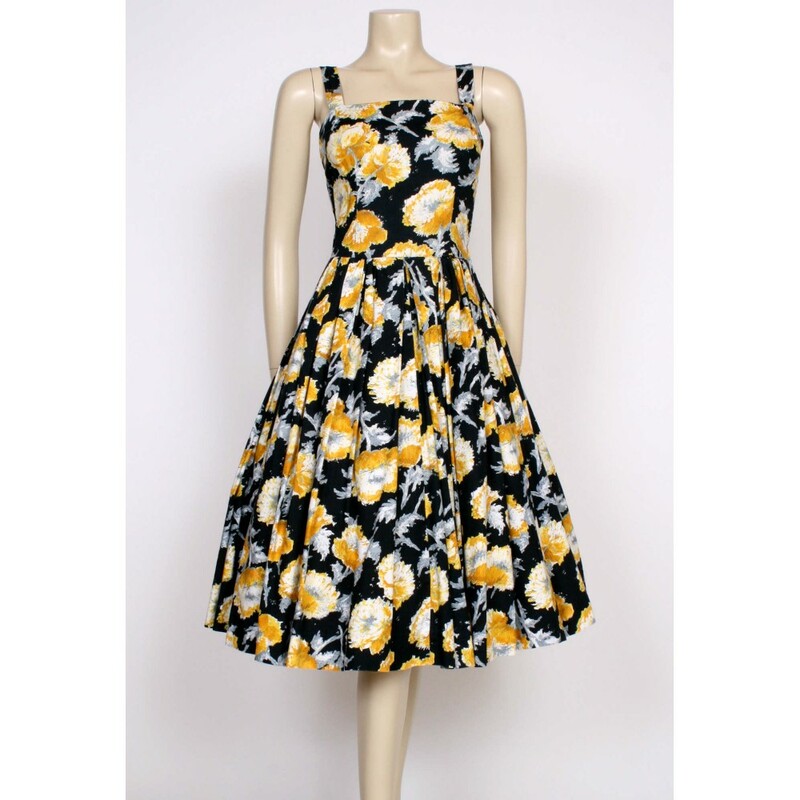 This is a really beautifully hand made dress, crisp cotton, black with a gorgeous yellow and grey print all over. 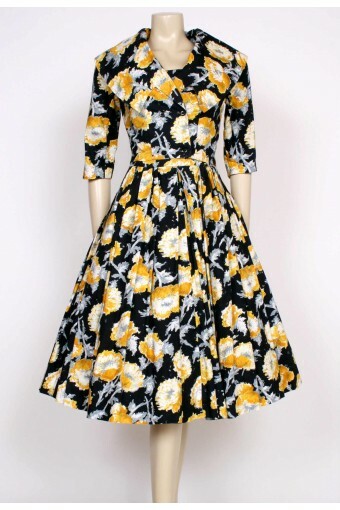 Side zip, slim straps, gathered waist and full skirt. 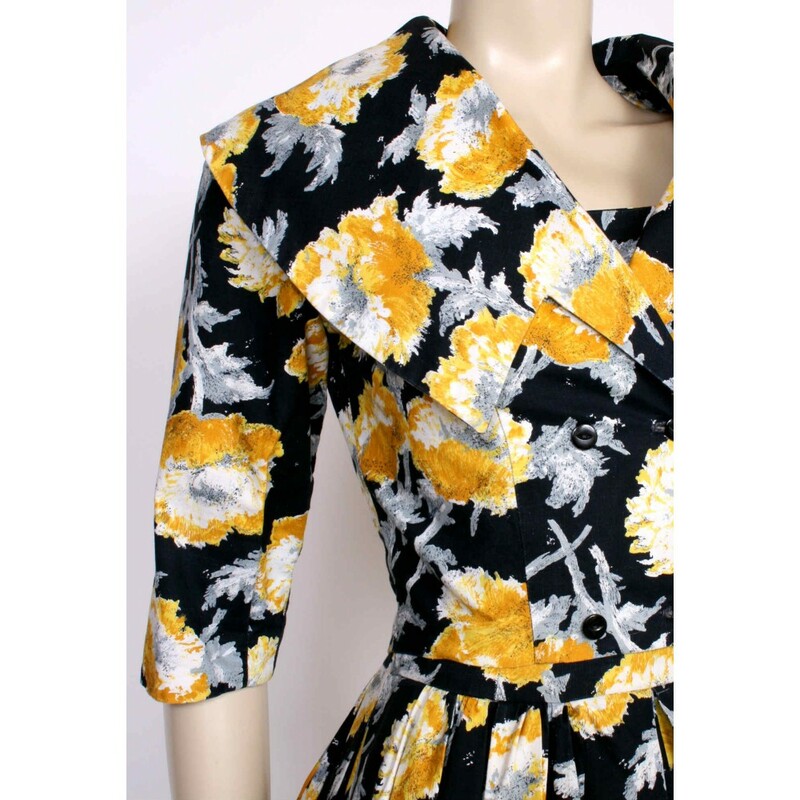 The matching jacket is double breasted and cropped to show off the nipped in waist, bracelet sleeves and a fabulous wide boatneck collar, wowzers! 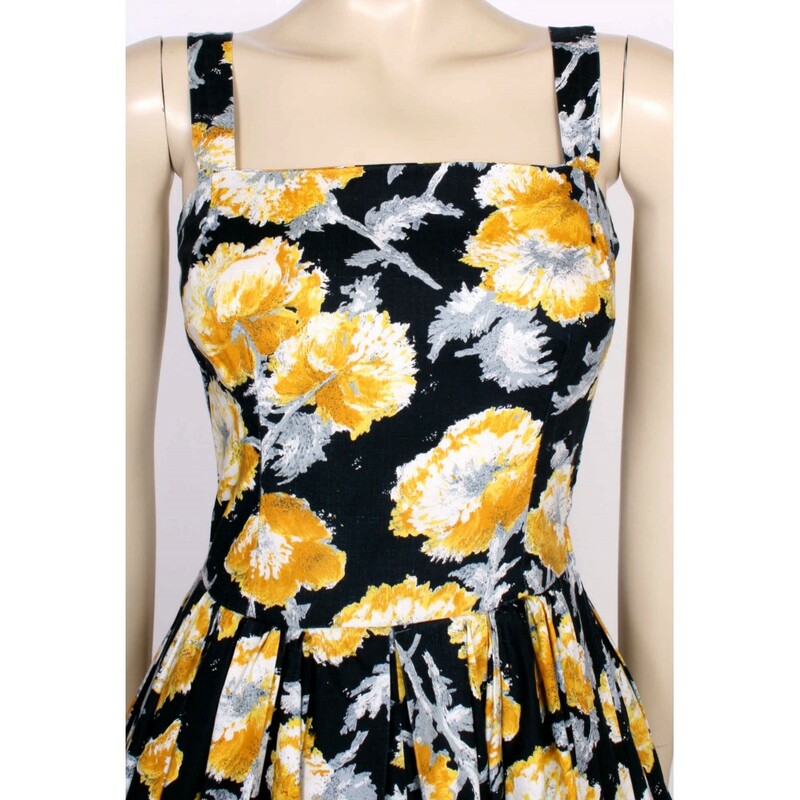 Size UK8; bust 32", waist 26", hips free, length from waist seam to hem 26"